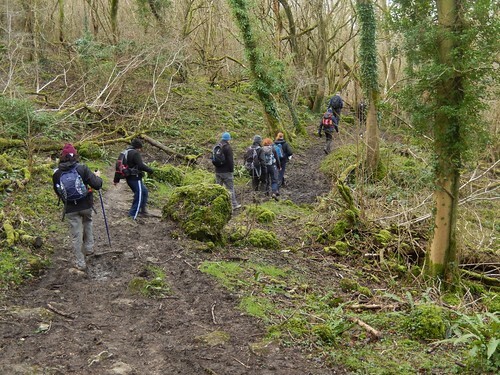 Getting outdoors is my favourite way to distract myself from such unproductive thoughts and with a decent forecast but a lack of decision towards finding my own walk; I attended one led by the group, for the third time already this year. 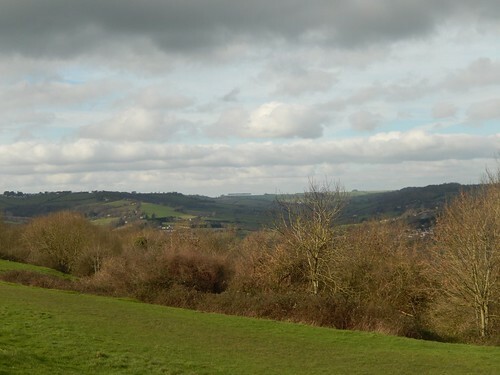 Rather than to meet in Bristol and then ride for another half-hour or so in someone else’s car, I chose to head straight across countryside, past Chew Valley Lake and in to the Georgian city of Bath, via the ‘back roads’, in order to avoid any congestion near the centre. 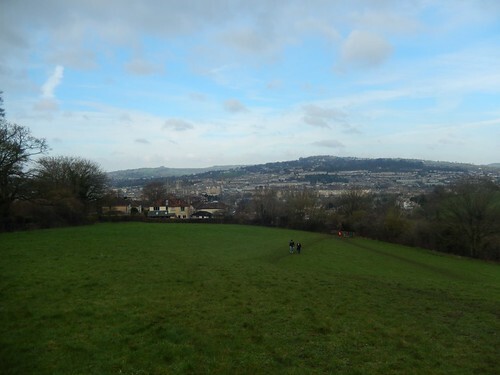 We were going to walk the Bath Skyline route and, from the walk description, it seemed as though we were going to follow it in reverse of what most people typically do, using the National Trust’s written guide. 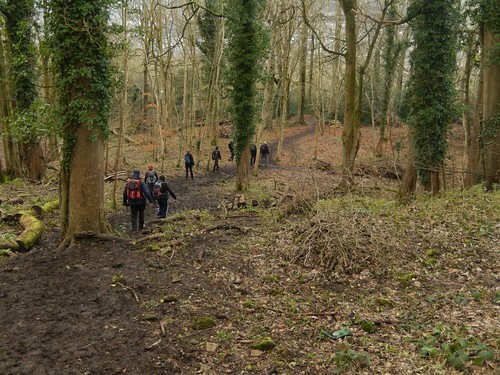 As I managed to park a few hundred yards east of the agreed meeting point, the walk leaders compensated for this by deciding to do the walk anti-clockwise and met with me along the way… For one of the two leaders, it was his first time completing the circuit in this direction. 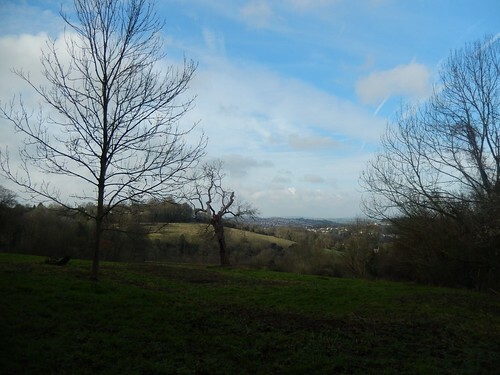 While I didn’t get to experience the Skyline walk quite as I had hoped to, I was at least pleased to notice you can park along Cleveland Walk (the end-point of the walk, just off Bathwick Hill) for free on Sundays and without restriction [In the words of a pulsating Austrian actor… I’ll be back!]. 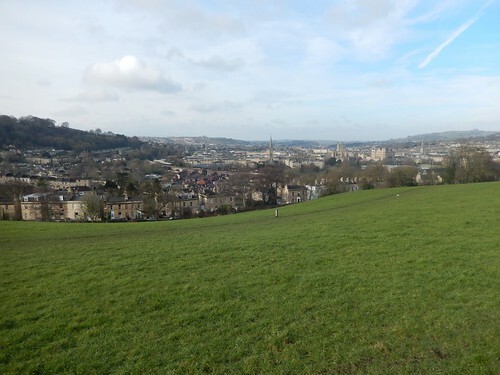 So, we set off from Bathwick Hill on a familiar route for many. 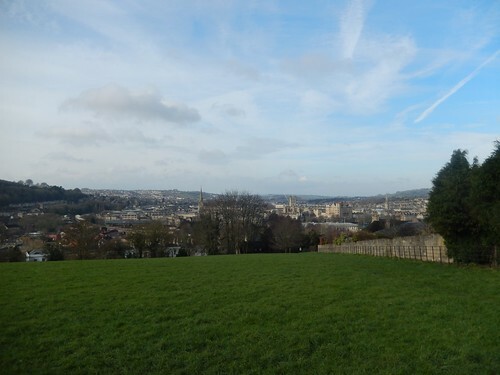 Already and, as you can see from the photos above; the initial stage of this walk offers some of the finest views of Bath available along the entire route. It was already muddy and slick underfoot. Ahead of us, we noticed a young couple [Urgh! ], where the male was wearing bright white trainers… Sadly and, against our combined hope, he did not slip over. The same could not be said for a young child running at the head of a group in the opposite direction, who took a tumble in the form of a Jurgen Klinsmann goal celebration. 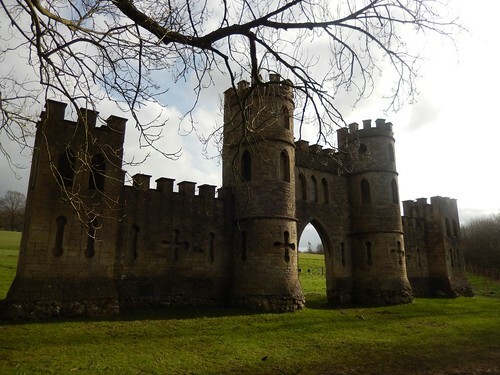 We were in and out without paying an entrance fee. I’m a member anyway, so I didn’t have any reservations. Others bought food and drink from the café area, which might’ve counted for something. 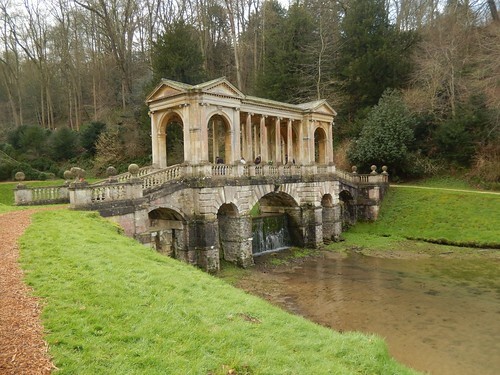 Perhaps the landscape garden is most well renown for its palladian bridge – one of only a very small number within the UK. I don’t think there are many others across the wider world either. This was all the effort of architect Ralph Allen and you’ll see more of his work before the end of this walk. After lunch, we made our way down to the pond before looking back around the cross the bridge. 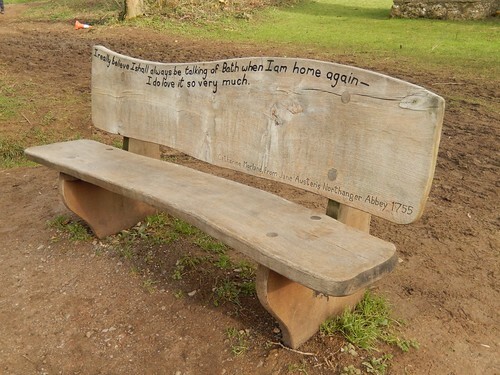 Along one side, visitors had adorned the handrail with heart-shaped cards and written messages of affection – quite reminiscent of those padlocks you sometimes see along bridges. Only one of us (a walk leader) was bold enough to pick up the penning, writing a message on behalf of us all. Elsewhere, kids were encouraged to bend willow in the form of a heart. 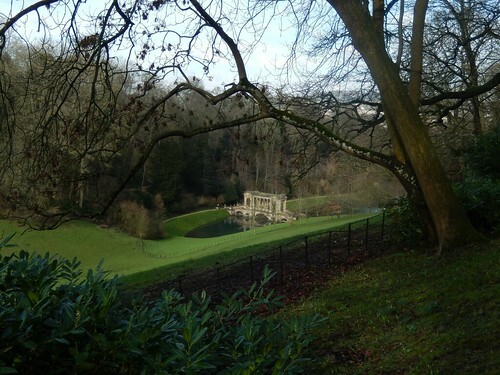 Prior Park was not a bad place to be on Valentine’s morning. From there, we marched on. Those of us who’d found the visit to soon for lunch (myself included) would have to solider on until the very end of the walk before finding a chance to eat something. 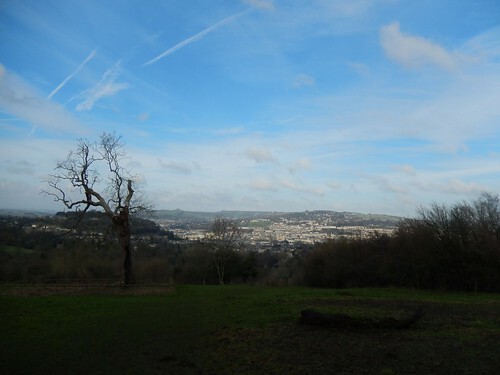 So, there’s a great lull in my set of photos, between Prior Park and navigating our way down through the frequent-bogginess of Bathampton Woods. 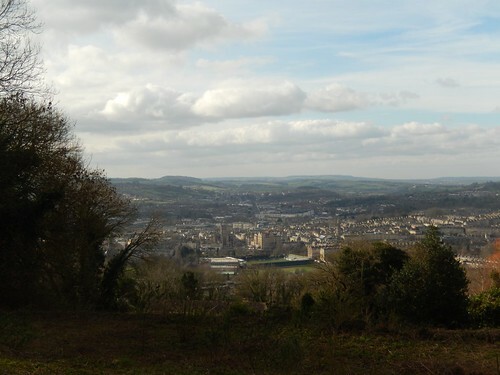 Many people are often surprised, upon first experience, at how the Bath Skyline walk doesn’t actually circumnavigate the city, but a comparatively small mass of land towards its south-east corner. Transferring from within one set of trees to the next, we were greeted with more ‘natural’ views across slightly-less-built-up areas. 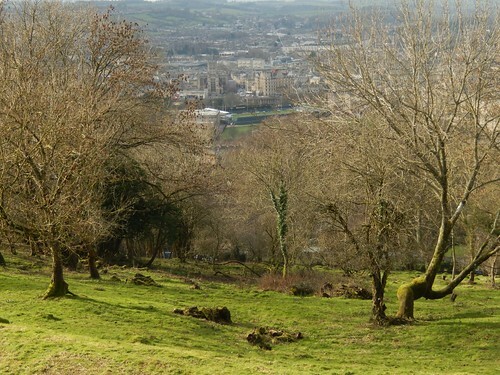 On the distant horizon, you could see the line of trees that depict Freezing Hill near Lansdown. Near the start of the walk, a passer by informed me you can see the Clifton Suspension Bridge in Bristol, if you know where to look. But for all the mud, there was no suggestion of rain. A chill had infiltrated the air on a permanent basis but it wasn’t enough to dampen our spirits. 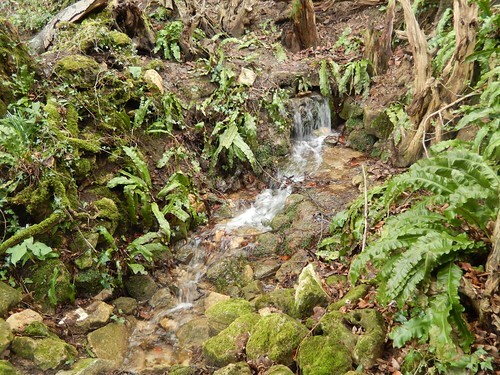 Shortly before the end, I looked down at the steep descent awaiting us; one I knew too well, dreading an unintended slide through the mud… But that wasn’t to happen. 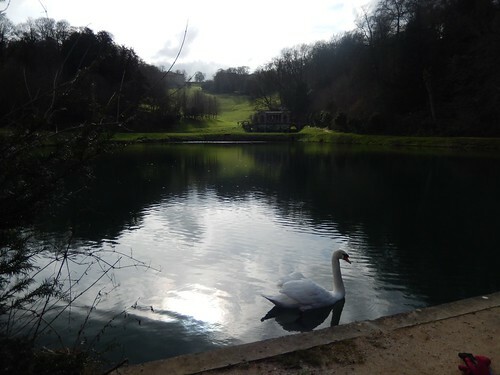 Steps had been installed at the bottom of the hill a few years ago and, as perhaps a lesser-trodden part of the Skyline walk, it wasn’t all that bad. I think we all remained on two feet. 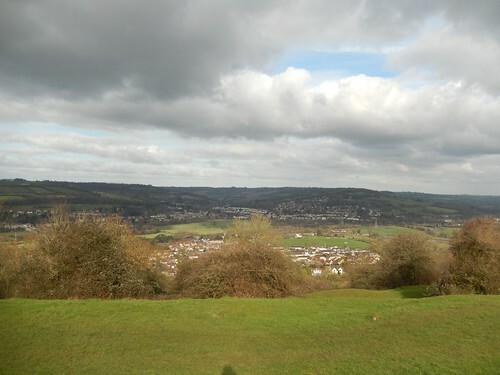 But before heading down to complete the walk, we took a slight diversion up to the boundary of the golf course, where we could take in Ralph Allen’s Sham Castle with further views over the city. It was only a six-miles but it was a Valentine’s Day very well spent. Outdoors and with others. A wholesome experience without expectation or pressure.